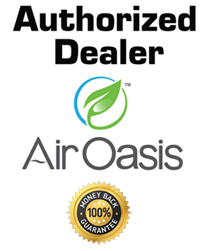 Each Air Oasis Air Purifier is covered by our 30 day Money Back 100% Satisfaction Guarantee. 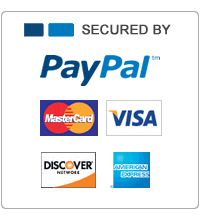 If you are not completely satisfied for any reason simply call us at 1-806-477-0322. All packages without a valid return authorization number on the box will be refused upon delivery. Customer pays return shipping. All air purifiers must be returned in good working condition with no physical defects or additional restocking fees up to $150.00 will be applied. We receive very few returns. We ensure only the highest quality parts are used in your air purifiers. Each unit is inspected twice for defects before it’s shipped. A. Air Oasis 3000, Air Oasis 1000, Air Oasis 3000Xtreme, Air Oasis 5000, Air Oasis 9″ Induct ACT, Air Oasis 14″” Induct ACT, Air Oasis Dual 14″ Induct ACT are covered by a 3 year limited warranty. *The AHPCO Cells are covered for 2 years. Warranty is limited to manufacturing defects and does not cover other damage. Any Air Oasis found to be tampered with automatically voids the warranty. B. Air Oasis Nano 6″ HCT Induct, Air Oasis Nano 9″ HCT Induct, Air Oasis Nano 14″ HCT Induct, are covered by a 2 year limited warranty. *The AHPCO Cells are covered for 2 years. Warranty is limited to manufacturing defects and does not cover other damage. Any Air Oasis found to be tampered with automatically voids the warranty. C. Air Oasis Mobile Sanifier 175 and Air Oasis Mobile Sanifier 250, Mobile Sanifier Packs are covered by a 1 year limited warranty. *The AHPCO Cells are covered for 1 year. Warranty is limited to manufacturing defects and does not cover other damage. Any Air Oasis found to be tampered with automatically voids the warranty. D. Replacement cells purchased after the warranty window has expired come with a 1 year warranty. E. Air Quality Test Kits are Non-Refundable. 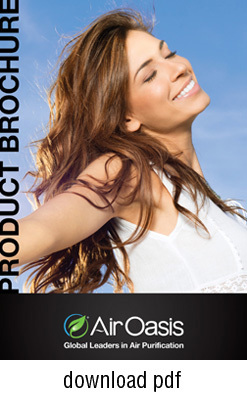 If you experience a problem with your Air Oasis Product within your designated warranty window, simply call 806-477-0322 and you will receive friendly help and a resolution to the problem. B. International Orders are Call -In Only. We will work to get you the best rate however the Customer assumes any tariffs, duties, import taxes, etc. Order by Phone 806-477-0322. A. Residents in the State of Texas are required to pay .0825 Sales Tax.